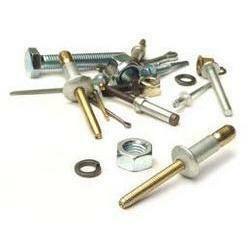 Nandishwar Steel offers a wide range of Industrial Fasteners and Automotive Fasteners. Owing to their features like robust construction and high tensile strength, these find application in water treatment plants, pneumatic conveyor systems, research and technology and architecture. Nandishwar steel offer wide range of Automotive Fasteners, that are widely applicable in various industries. These Automotive Fasteners are available in market in very reasonable rates.